With feline obesity numbers on the rise, it seems more and more owners are content with having a fat cat. If your cat is overweight, you need to do something to help him shed the pounds as quickly as possible. Being overweight increases the risk of several health conditions. Hepatic lipidosis, also known as fatty liver disease, is a serious problem that overweight cats can develop. This condition, which can easily be fatal, is one of the most common problems that cats can have with their liver. I’m sure that you’ve heard of diabetes mellitus too, the same condition that affects a good percentage of humans. Diabetes also occurs in cats, especially overweight cats. If you have a diabetic cat, then you will likely need to give him insulin shots on a daily basis. 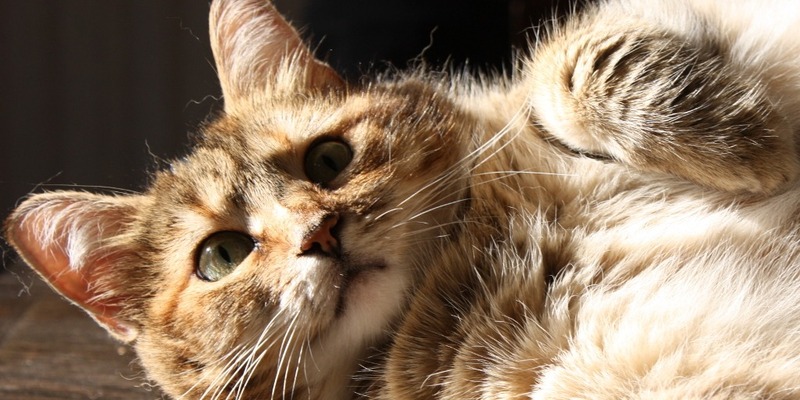 You may be wondering why feline obesity can become a problem for your cat. The reason behind its development is very simple. If your cat intakes more energy than he expends, then the excess will be stored as fat. Cats can easily have a problem with obesity as they get older. Their metabolic rate will typically slow down and they will also become less active. However, the most common reason why obesity in cats occurs is because of inappropriate feeding habits. You may give your cat too many treats or supplements. If you do this and don’t ensure that your feline gets enough exercise, obesity may develop. Even if you are feeding your cat like you’re supposed to be, you have to take into account their outdoor activity. Cats are excellent hunters, and more than capable of catching their own food. Your cat may be eating more than you think, so it may be wise to keep him indoors more often if you notice him gaining a little extra weight. The most important thing to do to manage feline obesity is to change your cat’s diet. Determine exactly how many calories your cat needs to intake on a daily basis, and make sure that food that you buy is high-quality. You will probably need to consult with your veterinarian in order to make sure your pet’s caloric needs are being met properly. It’s usually not best to feed your cat one or two large meals. Instead, feed him smaller meals over the course of the day. Of course, you will also need to reduce the amount of treats or snacks that you give in order to reduce problems with obesity in cats. Diet is just one factor when it comes to cat obesity. Your feline will also need to get enough physical activity on a daily basis. The more exercise he gets, the more calories he burns. Cats that get proper exercise also won’t have an excessive appetite, and their metabolic rate will also increase, helping to keep obesity in felines at bay. Every owner wants their cat to live as long as possible. Obesity is just one problem that can occur, and it can lead to even more problems like cat diabetes as you have already learned. However, there are many other cat diseases that owners need to know a thing or two about. Stop by common-cat-diseases.com today to learn about a wide range of them.